There are times, dear readers, I wish you could be a fly on the wall when certain books come into the house. Normally my lad couldn’t really care as he knows I’ll tell him what I think once I’ve looked through them. BUT the books I have for you today grabbed his interest from the time they fell out of the package. 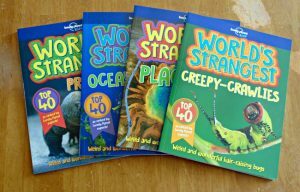 Lonely Planet kids has four books in the series World’s Strangest. 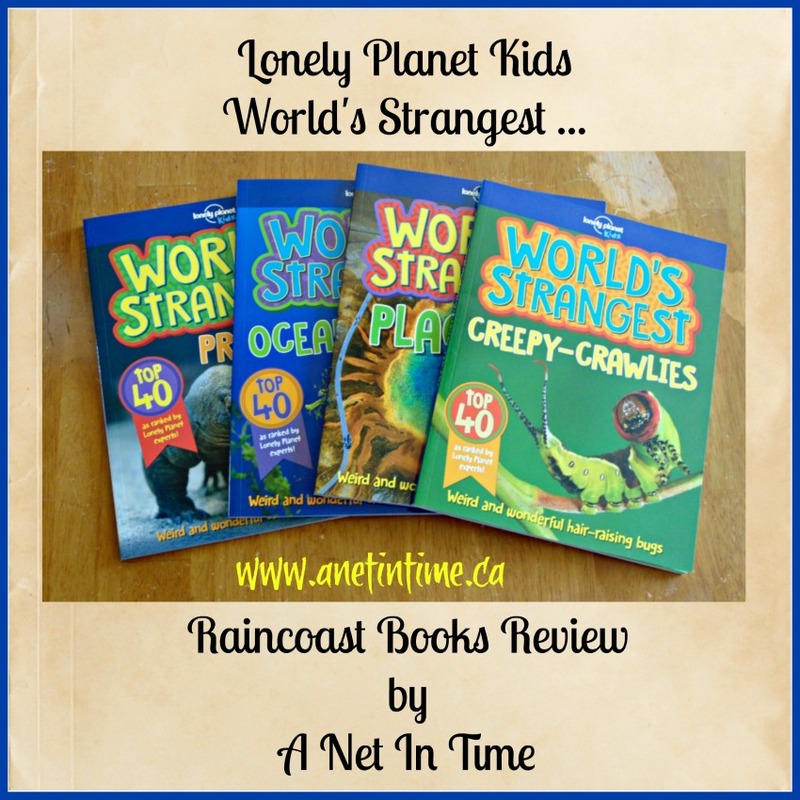 We have predators, ocean beasts, places and creepy-crawlies. Can you guess, dear readers, which one he gravitated to? Each book is laid out in the same manner. The Top 40 as ranked by Lonely Planet experts are talked about. Five strangest and then a quiz. 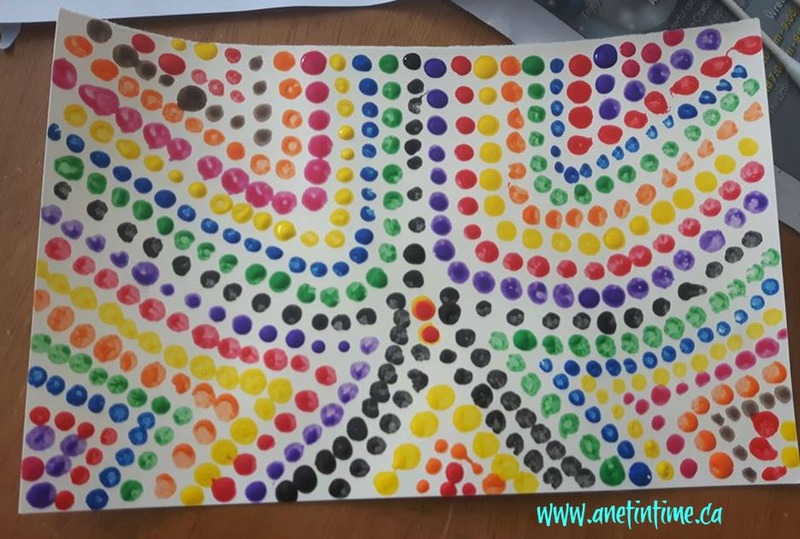 Loads of colourful pictures and interesting tidbits. Each book closes with a glossary. 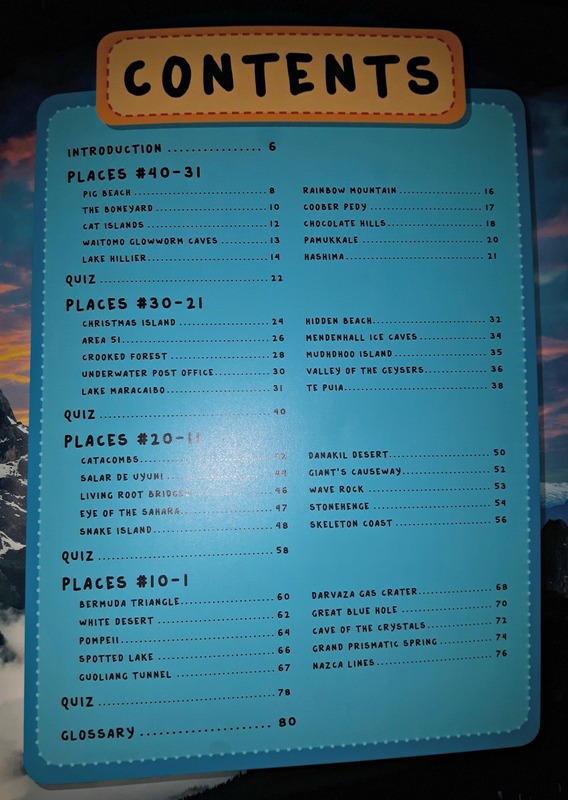 Each book is divided into four sections, each with their own quiz. 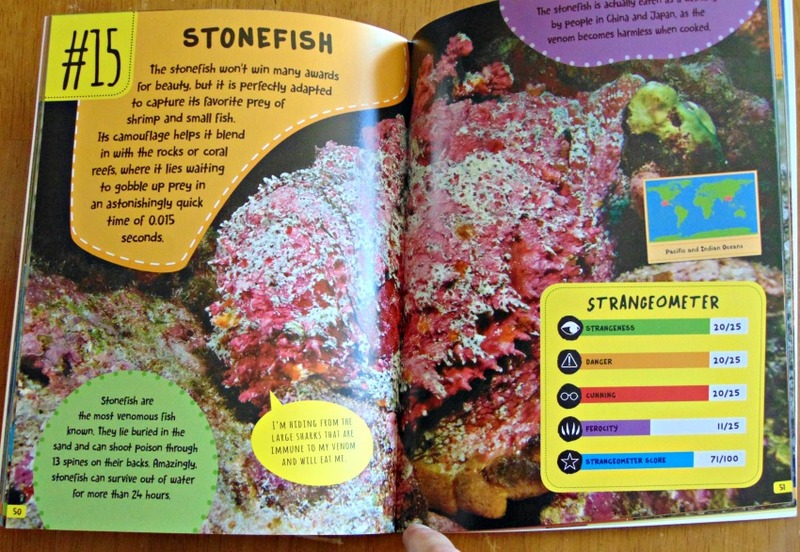 Each place or creature is given a two page spread with bright, highly engaging, full-colour images. Bold text to help draw in the eye. 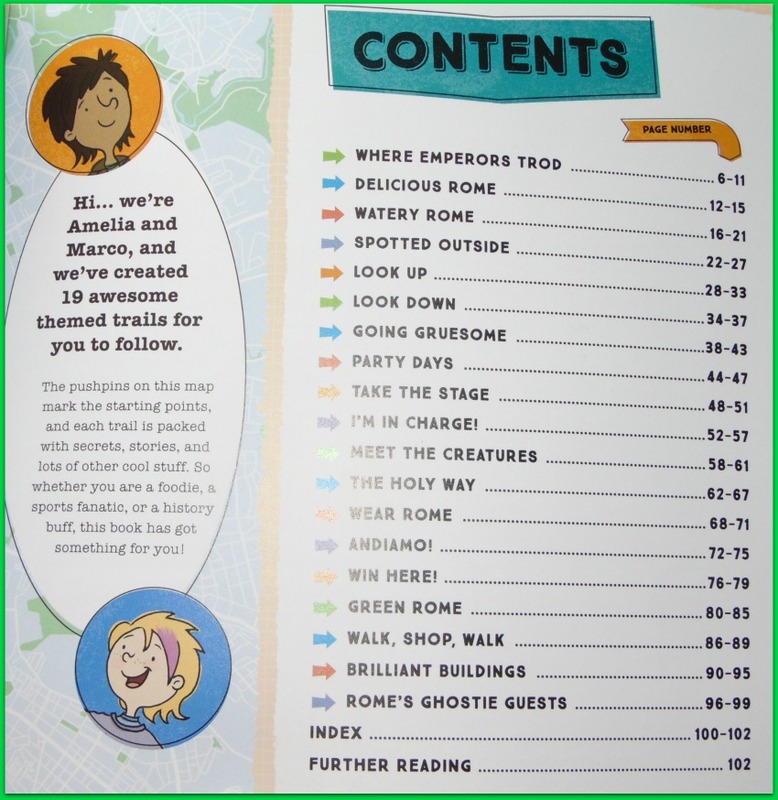 As you can see, each place or creature comes with a strangeometer score. 40 creatures or places in each book. 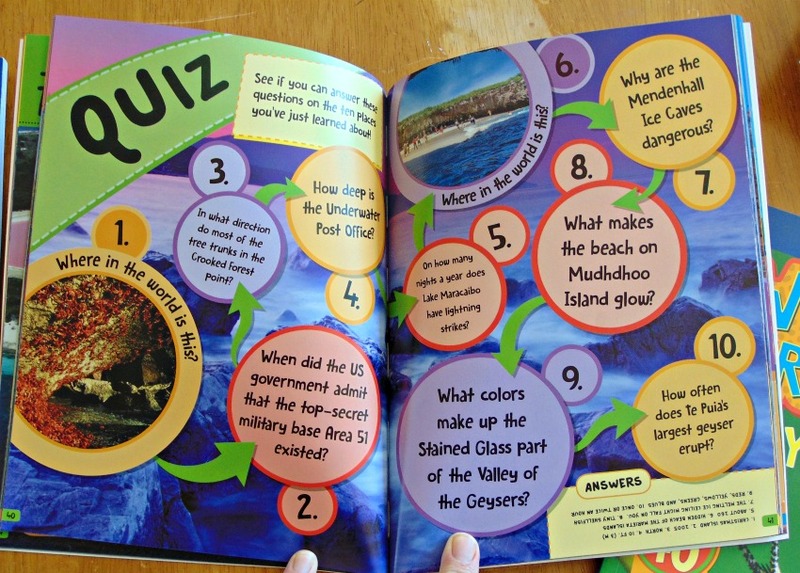 Each quiz asks 10 questions, not in the order they are presented in the book. The answers are provided upside down in fine print. 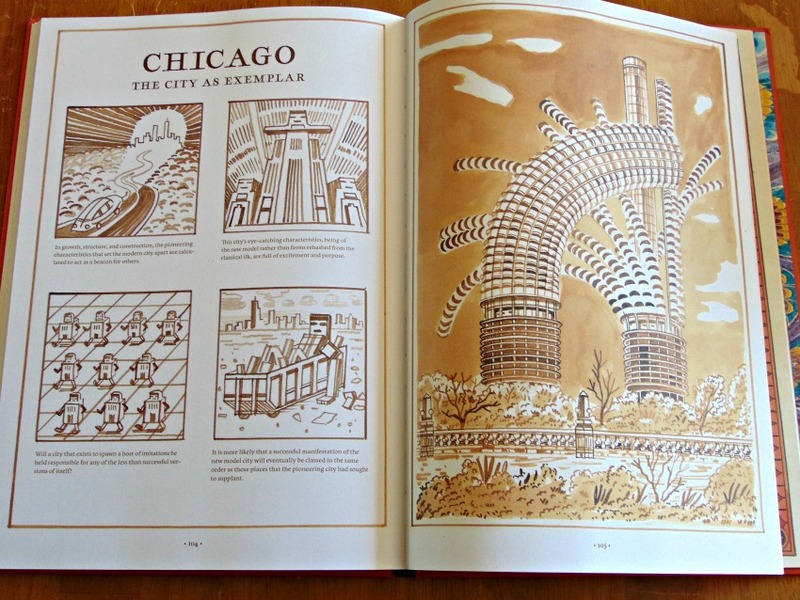 Each one was a treasure trove of 40 places or animals that are just odd, interesting, or wonderful. 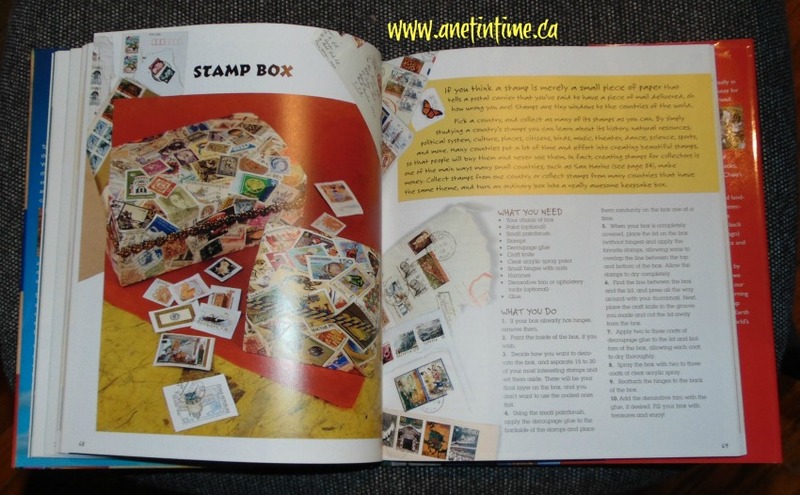 Places like Christmas Island and the underwater post office. Animals such as the trumpetfish, leafy seadragon, or japanese spider crab. How about the cobra lily, trapdoor spider, exploding ant, or artic fox? 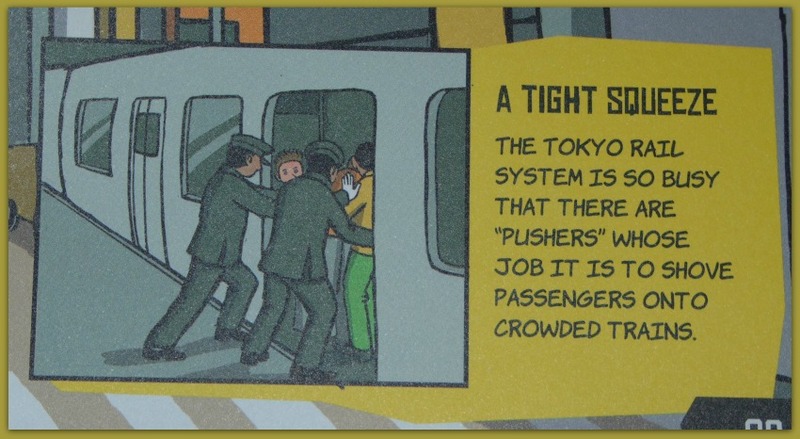 Interesting and sometimes obscure facts are brought to light, sure to delight your children from age 6 and up. In case you couldn’t tell, I really like these four books. I am tempted to use them to create small unit studies to help your student delve into the world’s strangest all the more. 🙂 (If only I could find the time). 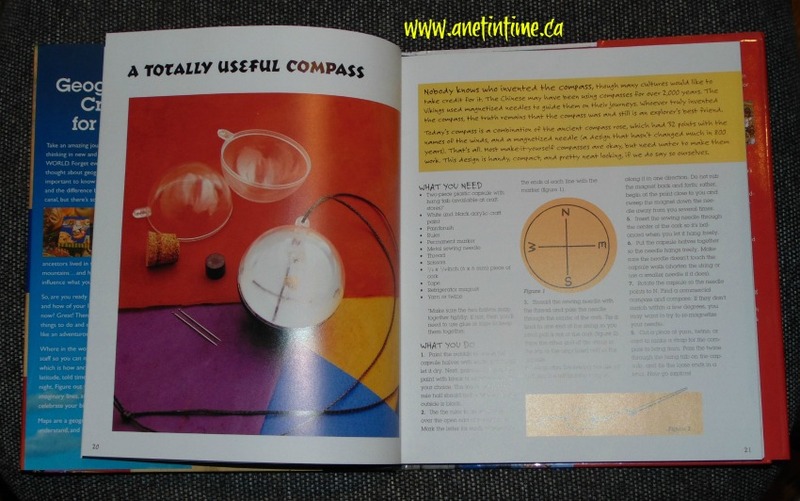 The bright images with factoids make these books a delightful addition to your science library. I urge you to check them out today. The lad and I are making our way through Europe and the Great War. Did you know that Germany attacked Belgium in order to attack France? 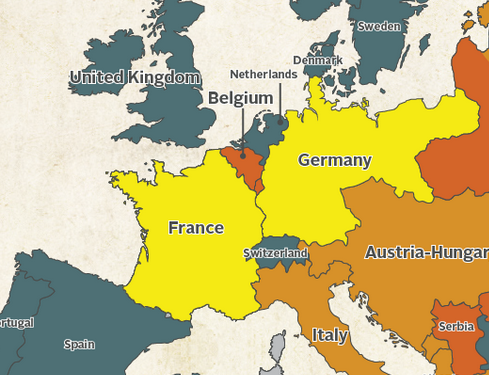 Poor little Belgium, sitting in the way. Anyways, that led to Britain joining in the Battle, which of course led to all the nations connected to Britain joining in the battle as well. All because of how alliances played a role. This makes the attack on Belgium an important consideration in the overall war. It behooves the lad and I to take a moment and learn a few things about Belgium. 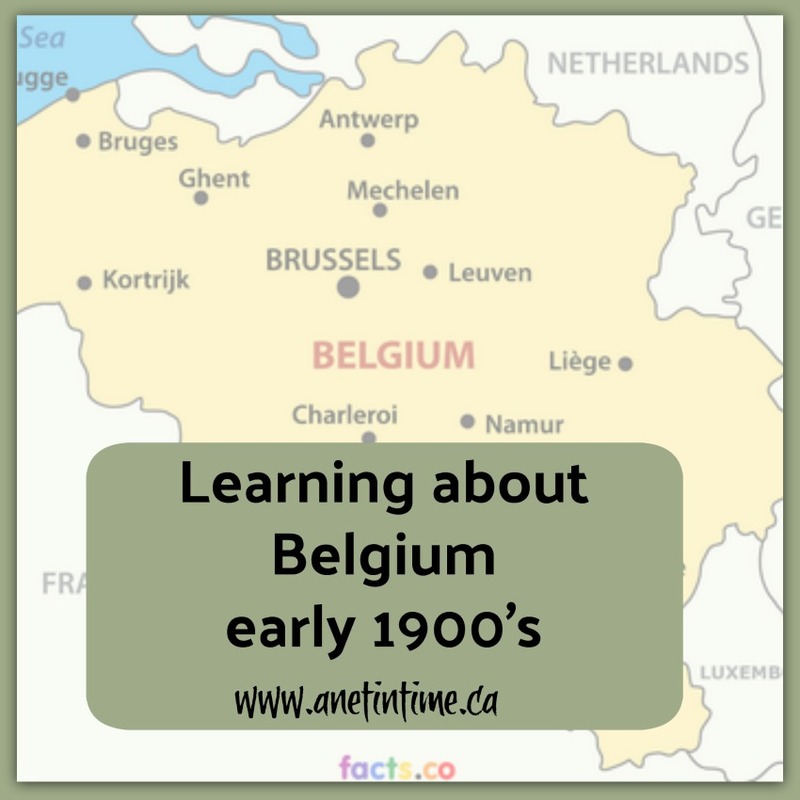 This week we studied the country of Belgium. Firms of Canada was a helpful site. Giving us several maps to pour over as we learned the provinces or states of Belgium, saw drawings of how the Germans moved in and more. I never realized how close Belgium and Holland were before. I knew a lady in our church who had some difficulty (I don’t know what exactly) between Belgium and Holland and it caused her some hard times. Being from Belgium and attending a Dutch based church (her husband was Dutch)… anyways, there were issues that I never really understood. Seeing the proximity puts it into perspective. Making me wonder if some of it was nationalism based. I found this rather cool site with black and white photography of Belgium in the 1900’s. I found this site on the culture of Belgium, it’s not specific to the early 1900’s but I found it difficult to find a good site that was specific to that time period. My lad found this video very interesting, giving him a different perspective on the German invasion of Belgium, while admitting to the terrible violence of the original invasion and balancing with other invasions. 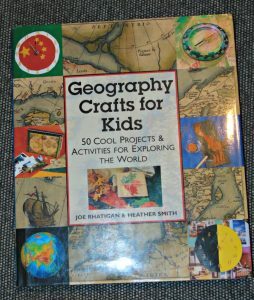 I spent some looking for lapbooks/unit studies etc for Belgium specifically and couldn’t find a thing. I did find a variety for generically studying Europe. 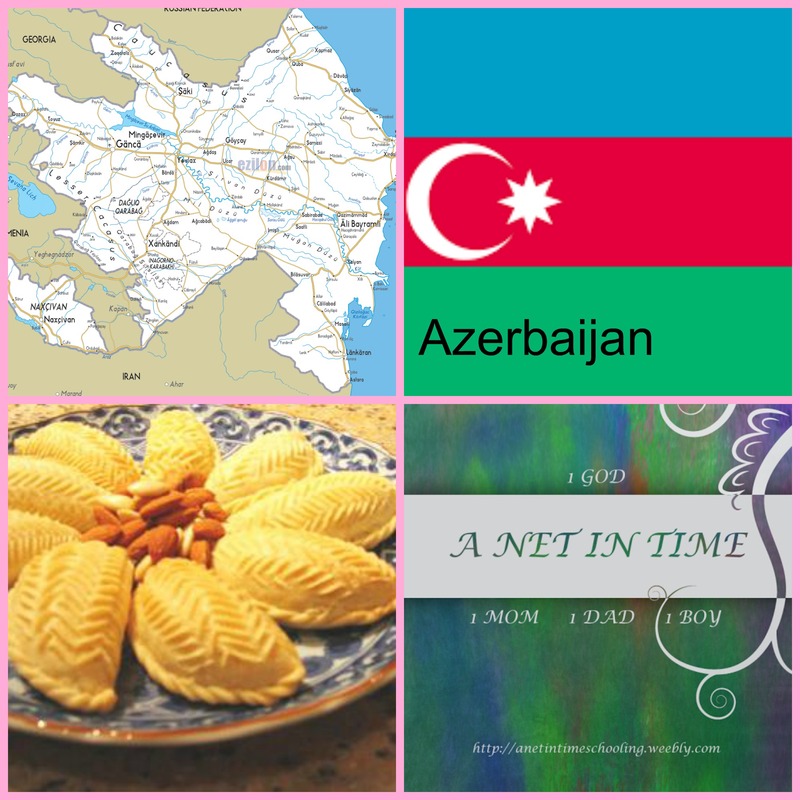 I did learn some traditional dishes: speculaas, Belgian waffles, croquettes, mussels and potato based dishes. 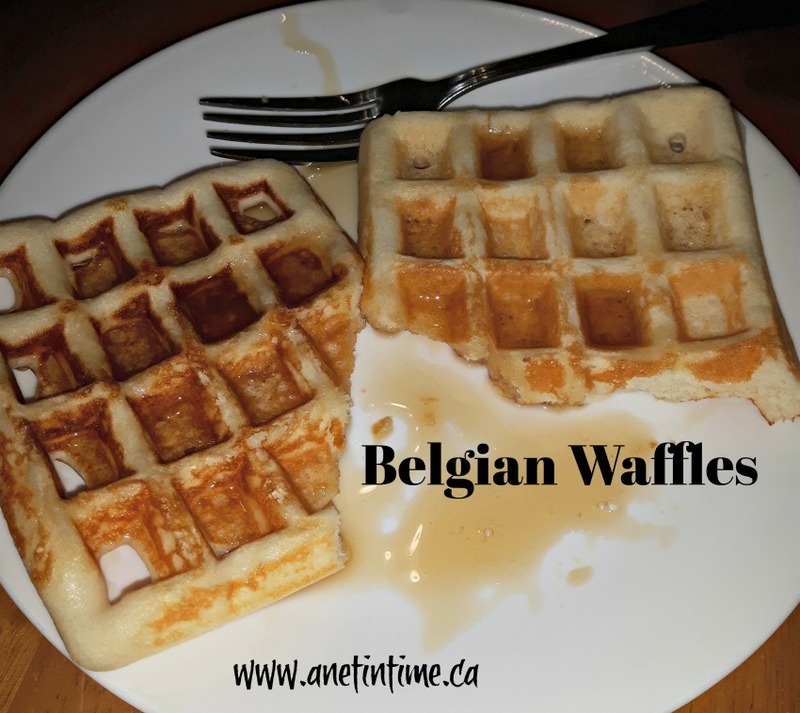 This past Thursday night we did waffles for supper as part of our hands-on studying of the war. We just used pancake mix to make them as we were in a bit of a rush. The lad wants to remake them this next weekend to that Dad can experience Belgium with us. We will then make them from scratch and have fruit and whipped cream with them. 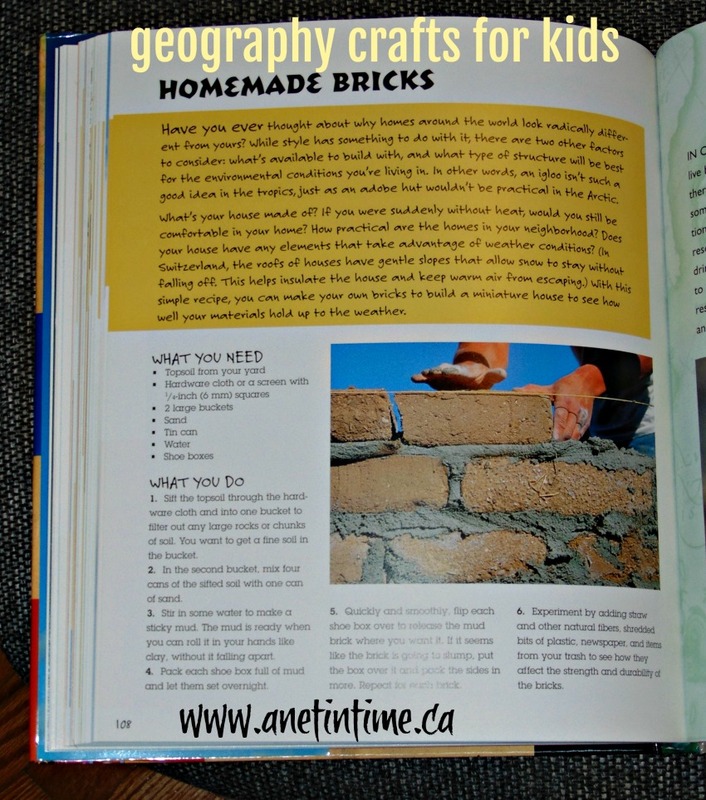 My lad is really enjoying reading through non-fiction books as part of his required reading time. He’s not a huge reader (as videos are totally his thing). I like to cultivate his ability to read by giving him interesting books he might not otherwise consider. 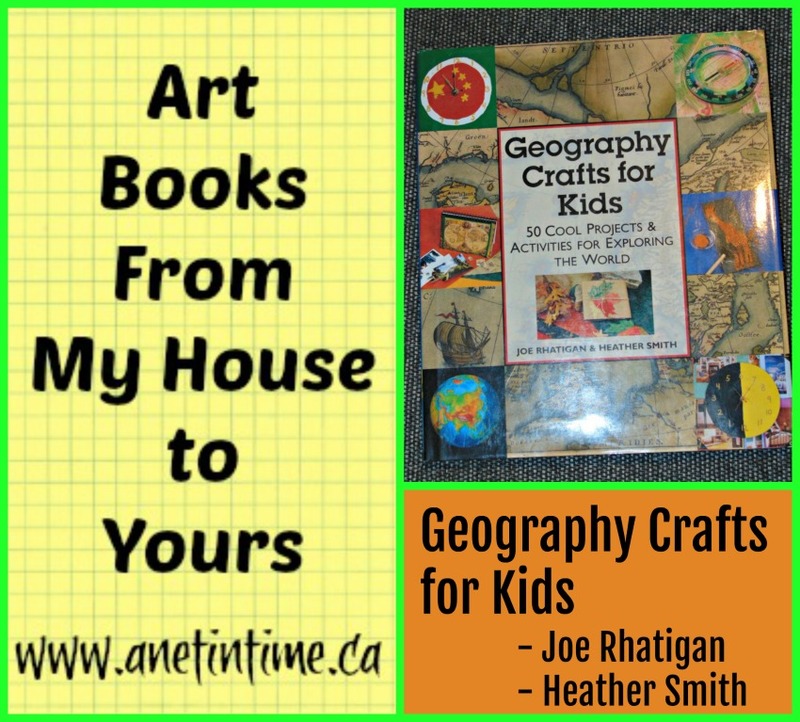 Around the World in 50 Ways is one book I gave him to read. 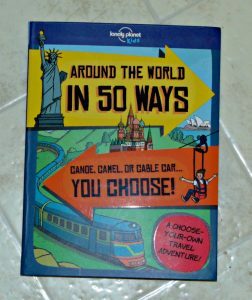 In Around the World in 50 Ways, you are to get ready to take a trip. You start in London, England and are invited to take a train, a bus or a boat…where will your adventures take you? Will you end up in Kolkata? Or perhaps Toronto? What about Sydney or Victoria or even Havana? 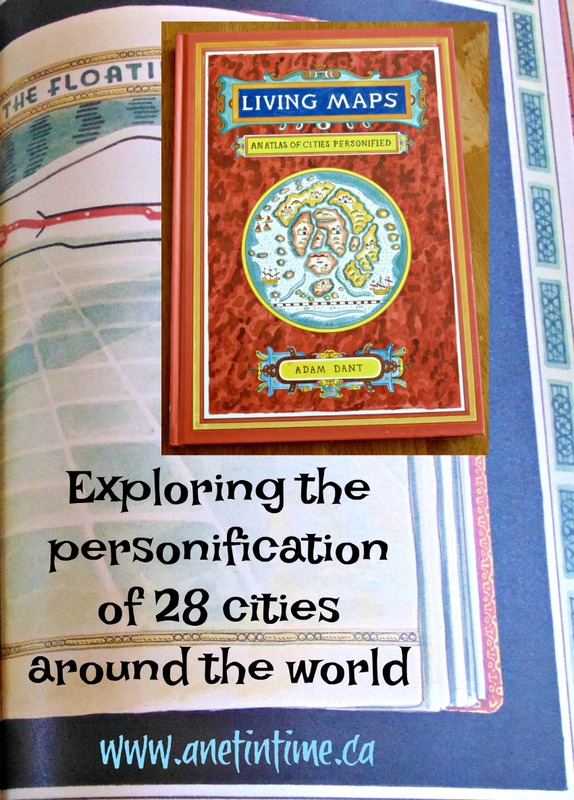 50 different ways to travel, will you continue your journey or hit a dead end? What do you do when it comes to a dead end? You start your adventure all over again. 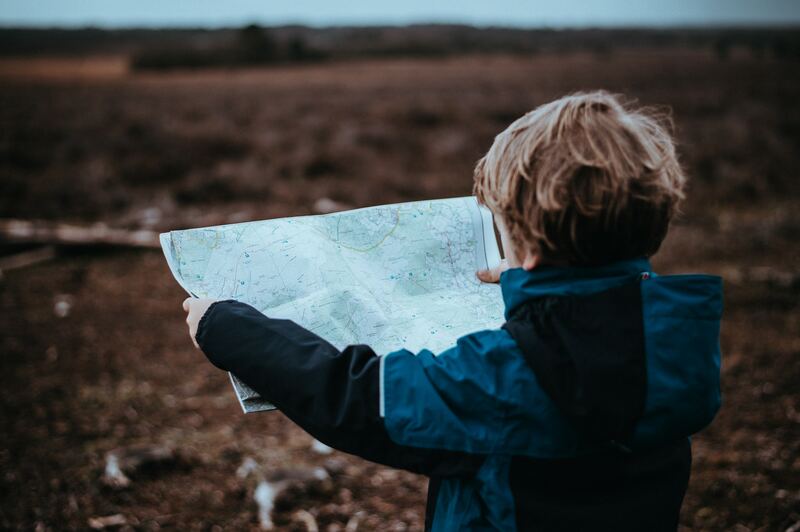 Right back to the beginning planning a different trip around the world, maybe this time you’ll take in a canoe ride, or go on a gondola, a camel anyone? 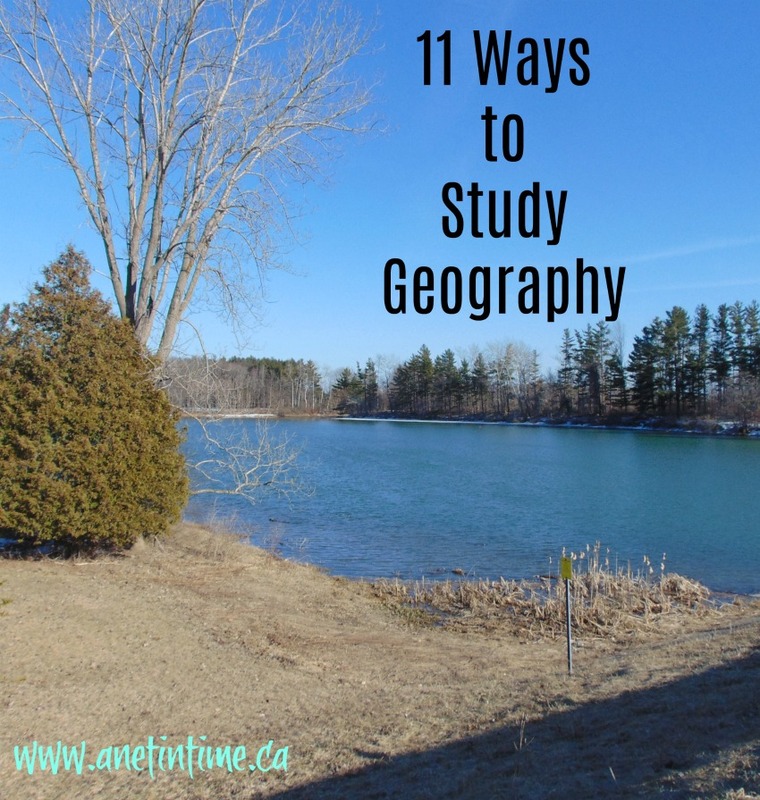 Along the way you’ll learn interesting tidbits about the cities/countries you are visiting. 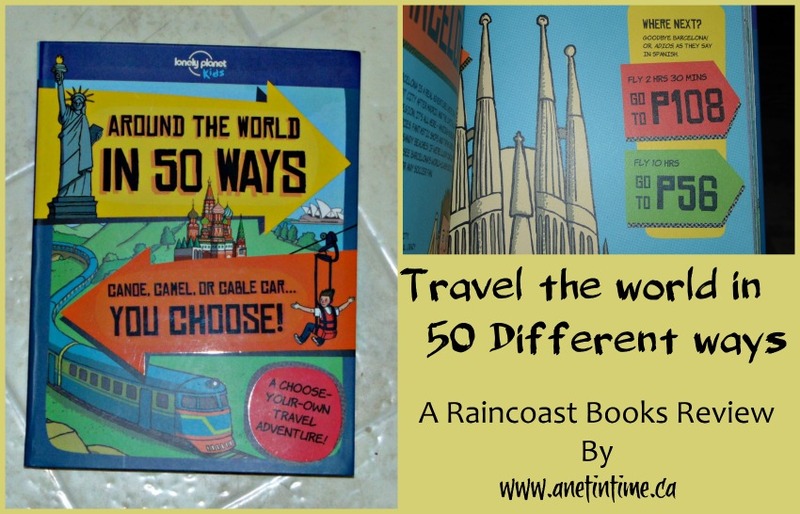 Around the world in 50 ways is a choose-your-own travel adventure book. 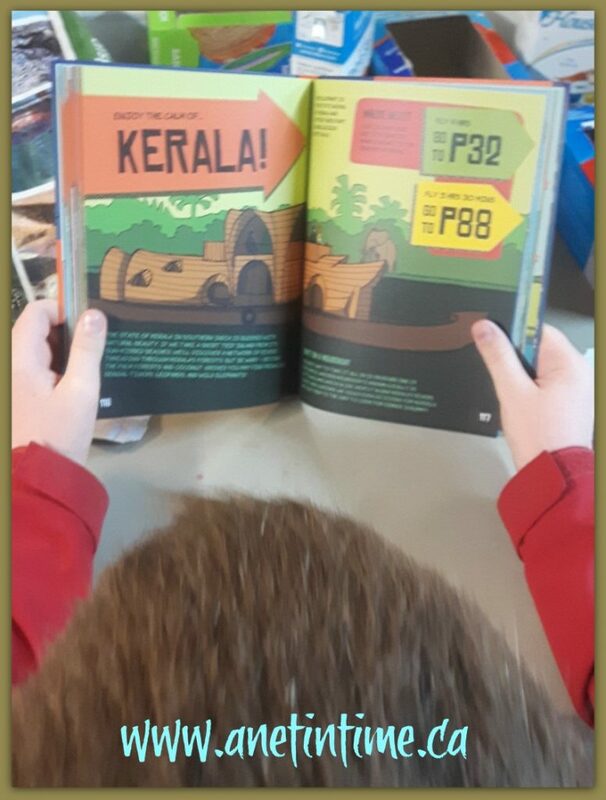 The reader makes a choice about which trip option they want to take to get from point a to point b. 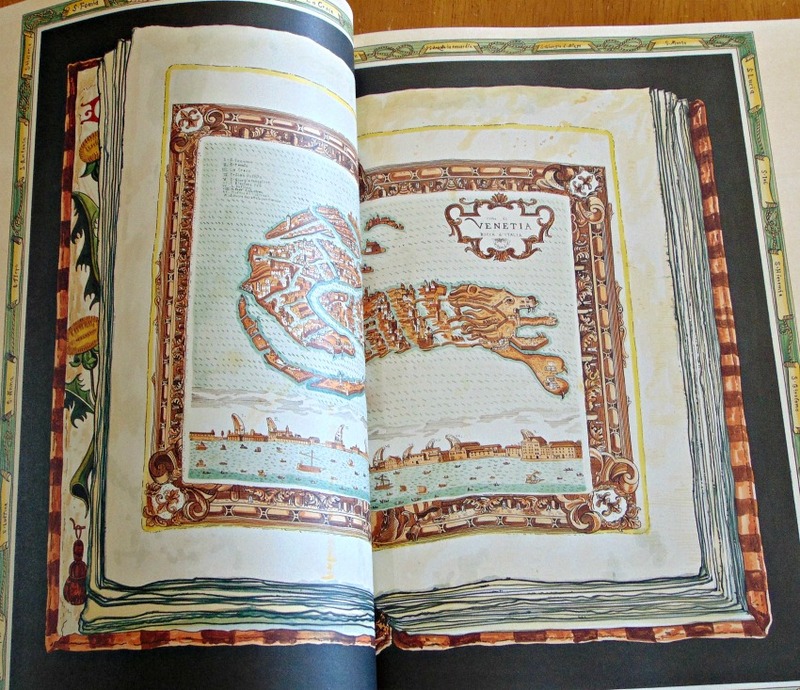 The full colour illustrations are filled with details about the location, from the shape of an island to the canals of Venice. The question is always presented “where next?” The choice in the hands of the beholder. I liked the variety of places visited, there wasn’t a continent not visited as far as I could tell. My lad just came in and said loudly “I visited everywhere!” So there you go. He liked that he got a chance to see glimpses all around the world. No one country was favoured over another. There was good variety in transportation, though admittedly most visits were done via plane (how else are you going to cross large bodies of water quickly?). Where to purchase: Amazon Link. 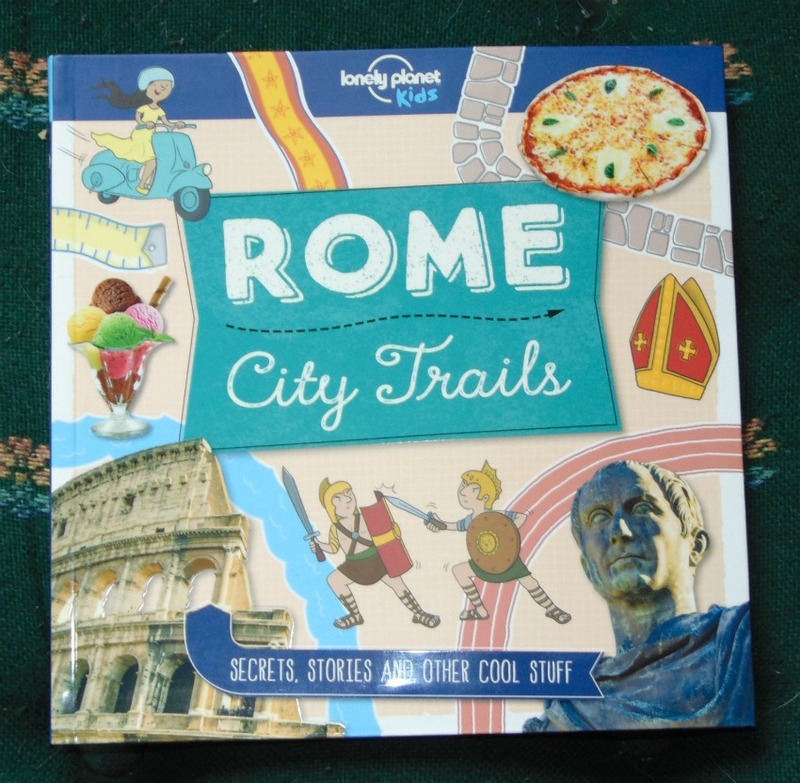 It was rather fun looking through City Trails – Rome with my lad recently. We’ve been studying Ancient History and have been visiting the historical places in Rome. Therefore, as we walked throughout the pages of City Trails we frequently ran into places or statutes we had seen on our journeys. But there is more to City Trails Rome than seeing historical building. We are taken on 19 different trails throughout the city. We get to taste food (or at least WANT to taste some food). Stopping by at the Mini Medicine Mound, Touring the wall of water and seeing Trajan’s Column up close. We saw Coypus swimming by and watch people dive in the River Tiber as we headed off to visit Rome’s zoo. It’s always a fun day visiting Rome. 🙂 Especially while wearing the city’s colours of red and yellow. 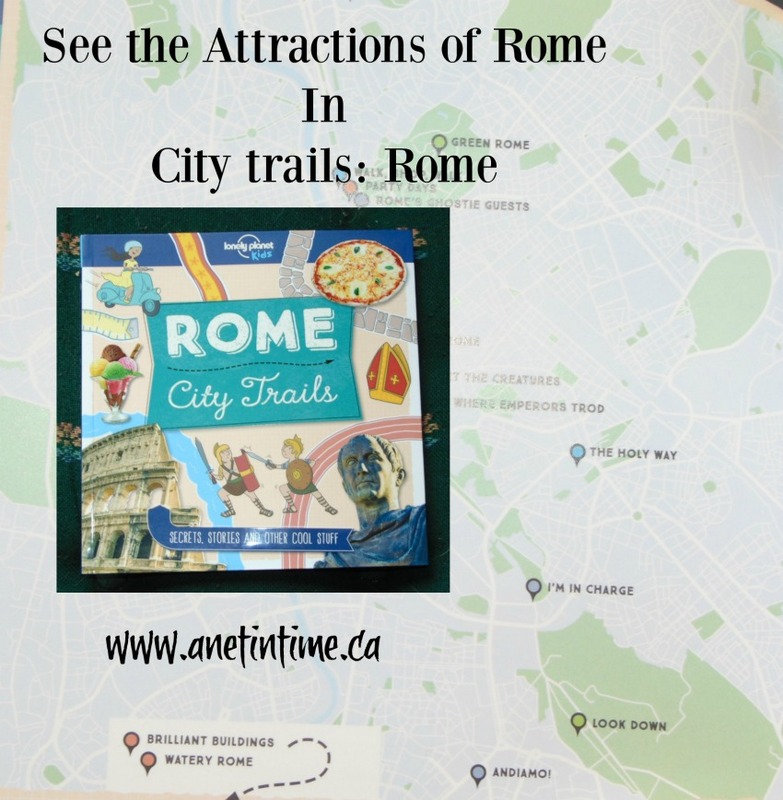 So grab up this book and visit the City Trails of Rome. Stop in at the markets, the toy shops and the restaurants…. feast your belly as well as your mind! 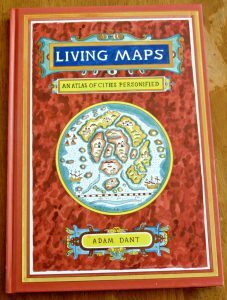 🙂 The Map provided on the opening flap of this tome leads you the various trails followed throughout the book. 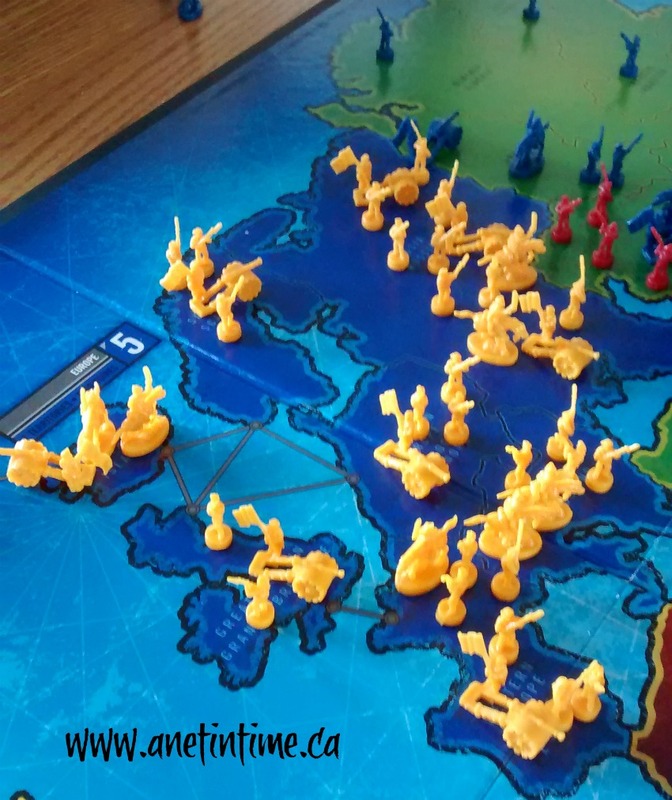 Visit, have fun. Unlike City Trails Tokyo, I found City Trails Rome to be laden with a lot of the historical monuments/buildings rather than the more modern buildings/attractions. This isn’t bad as many people go to visit Rome for those attractions. I just expected after the brightness and current day buildings of Tokyo to see some of more of the modern buildings as well. I have to admit, I would love to poke my head in at Bartolucci and Al Sogno. Those toy shops look to be delightful to walk though, and visiting the main market! Markets are always fun microscapes of a larger area eh? 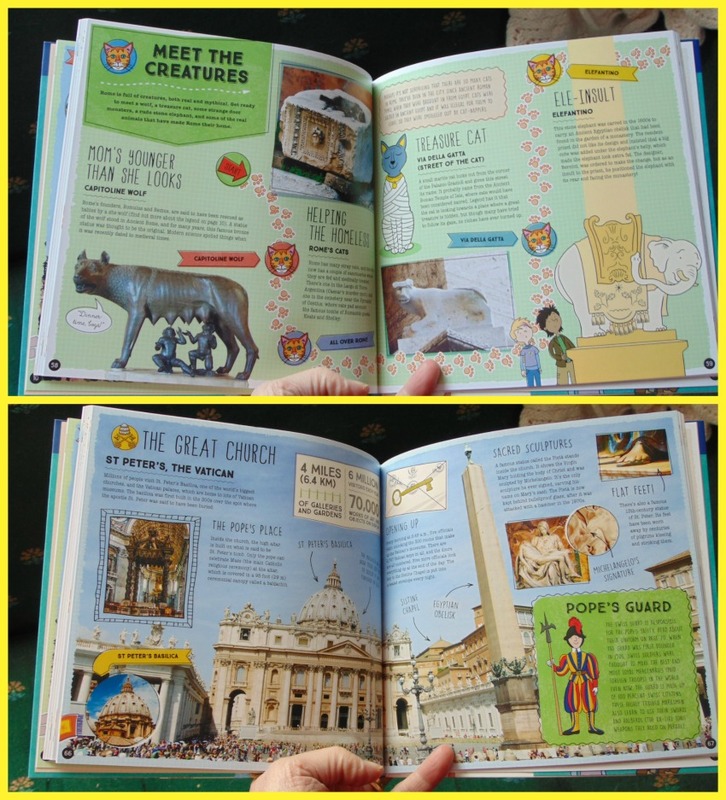 This book would be excellent as a go along when studying Rome, or if you were planning a trip there and wanted to see what your children would be most interested in seeing. 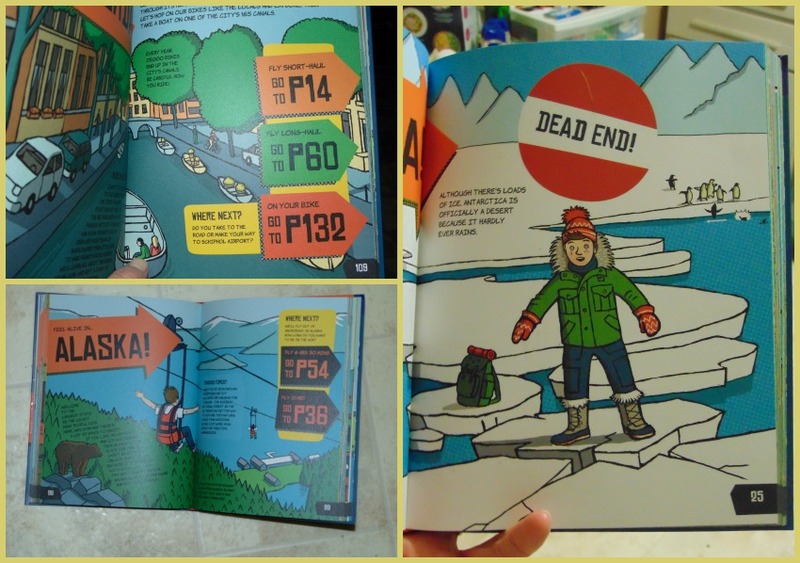 Lonely Planet Kids   104 pages, 8-12 years. Where to purchase? Amazon Link.